There are so many variables that go into making a PIZZA. The hydration of the dough, flour, yeast and many more.. Amounts of any kind of yeast in a pizza can make a big difference. Most recipes posted on the web, use too much yeast in their recipes. What I have found out so far, is either bulk fermenting the dough or cold fermenting the dough will give a better flavor in the crust. I am still experimenting to find different flavors in the crust of pies. In my opinion pizza is all about the best flavor you can achieve in a crust. I still am on the journey about flavors in the crust. Even differences in temperatures in you home or times of the year can influence how much yeast to use. If you want a pizza to develop flavors in the crust, there are many ways to go about achieving this. 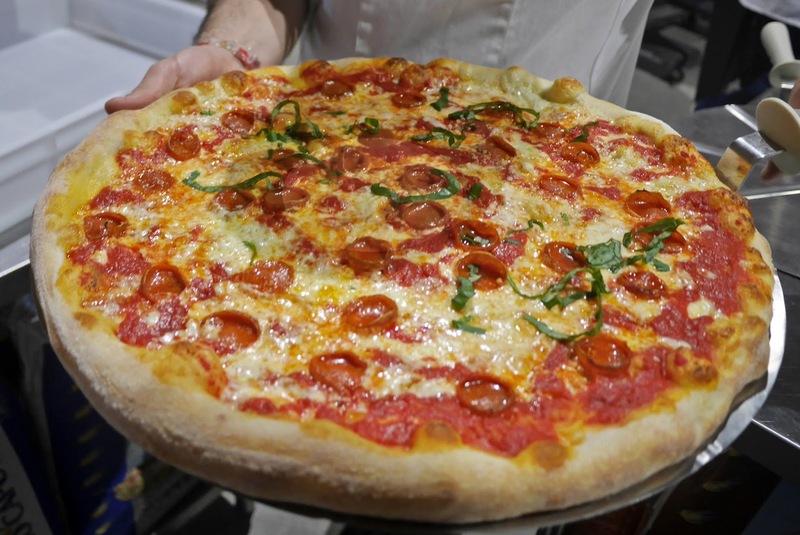 There are many ways to go about trying to make any kind of pizzas you want to create. PIZZA making is fun and also you get to eat your finished product. 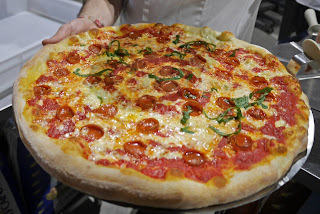 I learned to make all my pizza on http://www.pizzamaking.com/forum/index.php If you look on pizzamaking.com you can see all the beautiful creations of pizzas members make on this site. Members and moderators help members and guests achieve almost any kind of pizzas they want to create. Since joining this site, my pizza making skills have gone from non-existent to something much better. I invite you to take a look at this site. 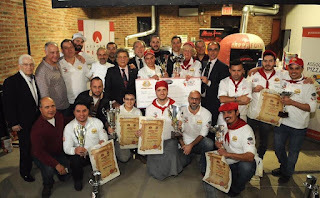 I was very surprised I won the Caputo Cup for NY style pizza at Neapolitan Express. Thanks to everyone on the pizza making forum for helping me along in all of my experiments! Special thanks to Peter (Pete-zza) for helping me through all of those journeys! I learned a lot, but still have more to learn. Thanks to everyone at Caputo Flours and Neapolitan Express! I had a fantastic time at the whole Pizza Summit!! Congratulations to all of the other winner's too! All of the contestants did a great job!! 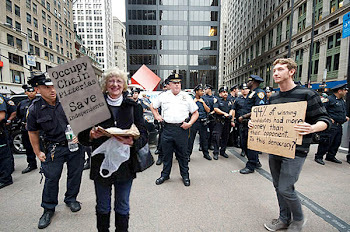 It was so nice to be able to talk to all of the people at the Pizza Summit. I will treasure all forever!! Trying Ischia starter and IDY in pizza dough. Experimenting with the Ischia starter and IDY in a dough to see what happens. This was the first experiment. Maybe I will get the hang of this in time. Peter's PJ's clone cookie dough mixed well, and the cookie baked well in the 10” dark cutter pan in the home oven. When using a pot holder there was a small problem in making a dent in the dough before the cookie dough was set. The problem was when using the dark cutter pan the cookie stuck to the bottom of the pan. It wasn't as bad as the cake aluminum pan that was tried before. A metal spatula could be used to take slices of the cookie out, but there is no way the cookie would budge without a spatula. The PJ clone cookie does taste very good. Pizza Rat Delilah Eats Detroit Style Pizza at Market. 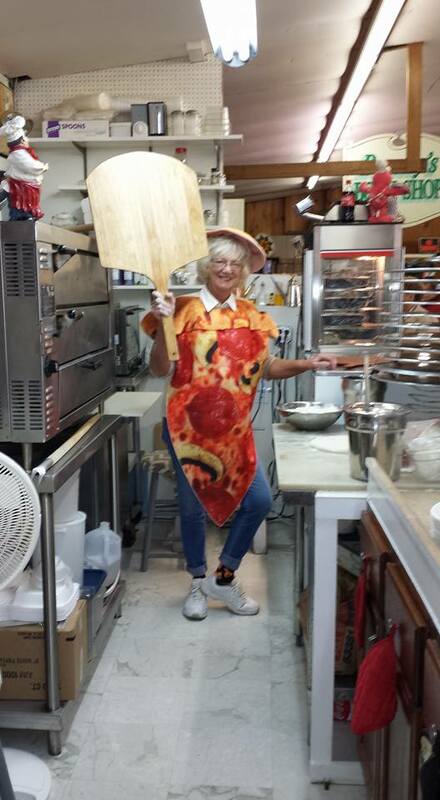 I was a pizza at market today making pizzas. 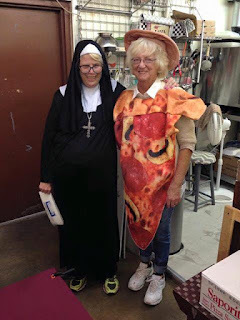 The top of the hat can't be seen, but it was also a pizza. I even wore my pizza socks today. It was almost the end of market today, and a man came up to the stand and asked if we had any Detroit style pizza left. I said there is a dough in the proofer, but it would take about 15 minutes to bake. The man said he would be back because he loves Detroit style pizza. When he came back my helper and I saw he had a friend with him. The friend was a rat named Delilah. Delilah was very friendly and we petted her. Delilah was licking her chops waiting to get a taste of the pizza. When I gave the slice to the man Delilah wanted some Detroit style pizza too. The resulting video is of Delilah eating the Detroit style pizza. 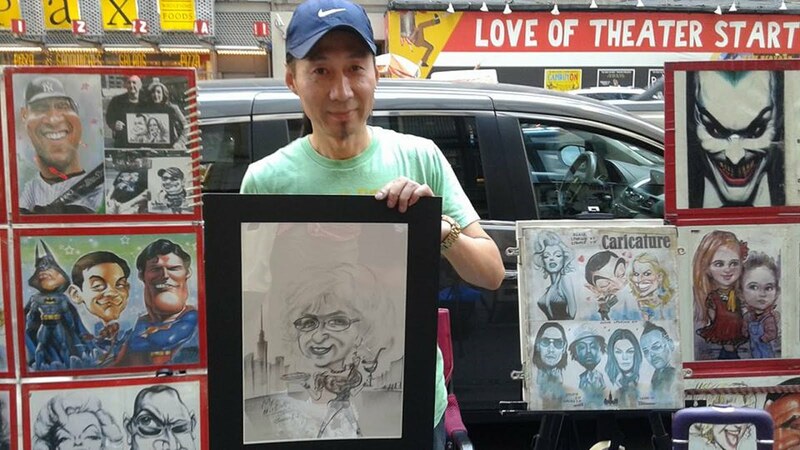 You never know what is going to happen at market. Video of Delilah the "Pizza Rat" eating a Detroit style pizza. Some new pictures added to..Some Leftover Pictures, I forgot to post. Chef Boyardee Pizza Cheese Pizza Maker Kit with a "Twist"..
Who is Tom Lehmann the dough/doctor? Steve's and Bob's first bakes in their vintage Airstream with a WFO!! Better Pizzas for Everyone! Thanks pizzablogger!! 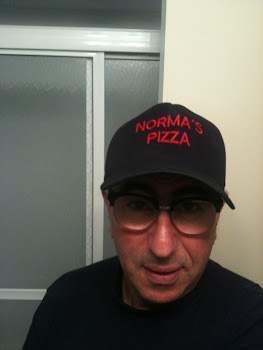 Wow, Paulie Gee is wearing a Norma's Pizza hat!!! I have fun baking different pizzas in the Blackstone Pizza Oven!! Spring is not coming to our area fast enough!! The years have gone by quickly! Double-sided sign Dave (my friend) made for me at market..Thanks Dave!! Check out Pizzablogger's Website for great information about Pizza!! Crumb of "Cherry Jones" inspired by Paulie Gee...Thanks Paulie!!! 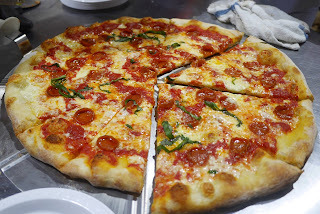 Trip to Wildwood and Ocean City, NJ eating pizza and other delicous foods! Next Attempt with Caputo in a deck oven, with added ingredients..
Merry Christmas from Norma's Pizza! Another Picture of Steve's and Bob's Project! Steve's & Bob's Project!!! Cool!! Soon Steve and Bob will be bringing wood-fired oven pizzas to Lancaster County in the "cool" Airsteam! 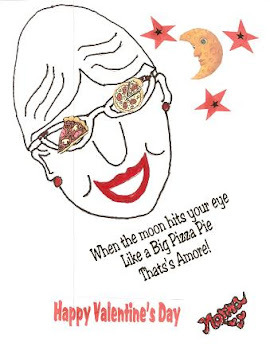 When the Moon Hits Your Eye, Like a Big Pizza Pie, That's Amore! Bisquick Buttermilk mix with "goody bag", by: Pete-zza! Making a pizza like, making a silk purse out of a sow's ear! Dough LI Lama "by Dave!" Deck Oven on the floor with no legs! 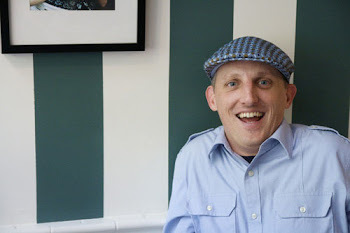 Click on Pizza Quest Image to visit Peter Reinhart's Pizza Quest website! wild yeast starters, Toby helped me with. Really Great Type of Pizza! 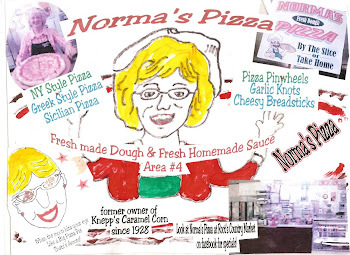 This is copyrighted material: I hope at least one person can learn to make pizza from this blog! :). Simple theme. Powered by Blogger.